No old timer star could say no to Sylvester Stallone as he recruits new members for the third installment of his Expandable movie franchise. That's before a new twist came to light. 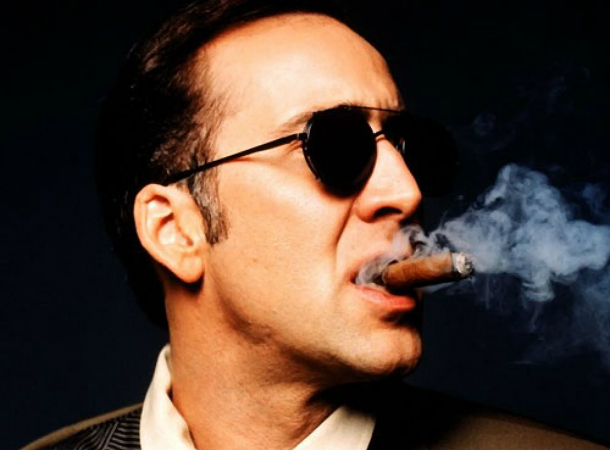 Many reports claimed that Nicholas Cage has been confirmed to join the already expanding cast of Expandables 3, which at the moment is in planning and pre-production stage. But a recent development may just burst your bubble yet. According to Entertainment Weekly, there is no official deal as of the moment to make this casting solid. It continues on to say that Nicholas Cage is only "interested, but [his representatives are] waiting for it to come together." "We are preparing the film with the same passion and commitment as the previous two. We have confirmed Nicolas Cage, a master actor who gives a veneer intellectual group. Hopefully we can realize to Harrison Ford, Wesley Snipes and Mickey Rourke. That is the great mission of the producer. We will continue with the same narrative scheme, the agility and the frenzy, which are inherent to the saga. What will definitely be the last? I can not guarantee. In principle it would be two deliveries, but the affection of the people encouraged us to work on a third. I guess as long as we amused ourselves by offering fun and people, we can continue playing The Expendables. For now we are not as expendable as it should and as some critics want." If the statement regarding Cage's casting has been shadowed by doubts, how can we ever believe the next statements in the interview? It would have been interesting if Mickey Rourke and Wesley Snipes are added to this band of grizzly action stars, but I am having a little trouble figuring out how Harrison Ford would fit into the story. For the meantime, let's all dump this news on the rumor mill -- I can't believe that even respectable actors could make such rumors sound so true and concrete. Expendables 3 has no official release date yet, but it is definitely one for the must-watch list.